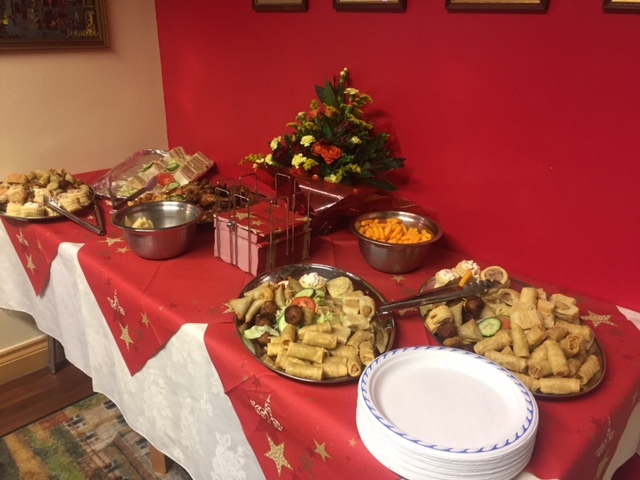 What would a Christmas Party be without the wonderful food and drinks? I can’t tell you, because our Chef Sam spoiled the Residents and the Guests with some Christmassy delicacies and wonderful gateaus. Thirst could be quenched with all sorts of alcoholic and non-alcoholic drinks.